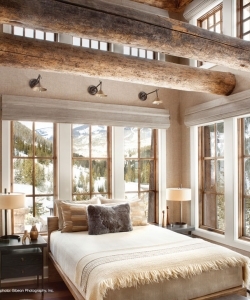 Our goal is to use renewable natural fabrics combined with leading edge technology for the ultimate sustainable, home automated window covering and window treatments in your luxury mountain home. Serving customers in the Vail Valley and Aspen areas of Colorado. 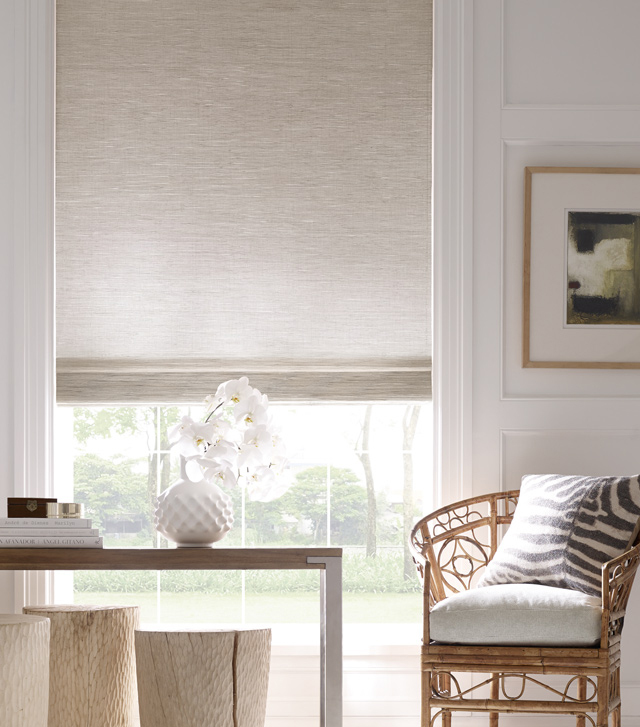 Because of our many years in the window treatment industry it is hard for us to name just a few of the brand names that we carry. Simply said, we can get them all. Do you have a brand you prefer? Simply let us know what you’d like and that is what you’ll get! Having said that, we of course handle the names most consumers have heard of such as Lutron, Somfy, Hunter Douglas, Graber and Kirsch to name a few. Some of our favorites are Conrad Imports or Hartman and Forbes for handwoven natural fiber shades and drapery fabrics. Fabritec Designs is our go to for it all! 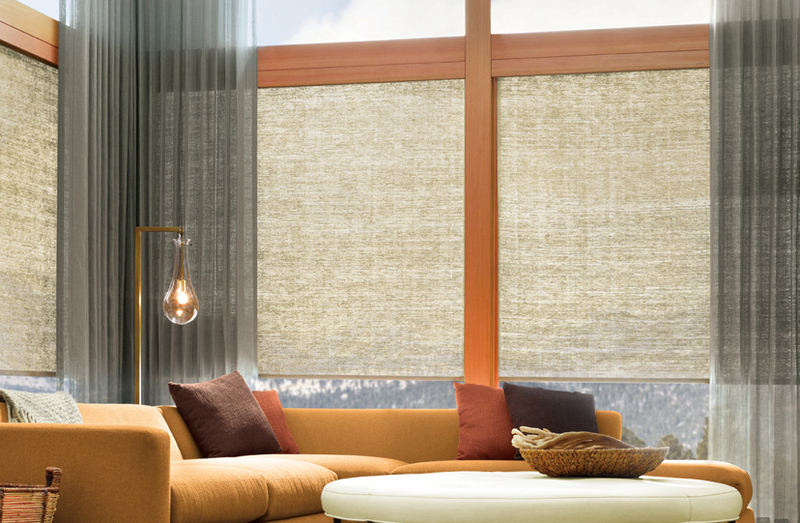 They do: Fabric Window Treatments, Natural Woven Shades, Panels, Solar Shades as well as Fabrics. All of which have capabilities of using the most technically advanced, motorized, easily intagrated systems. 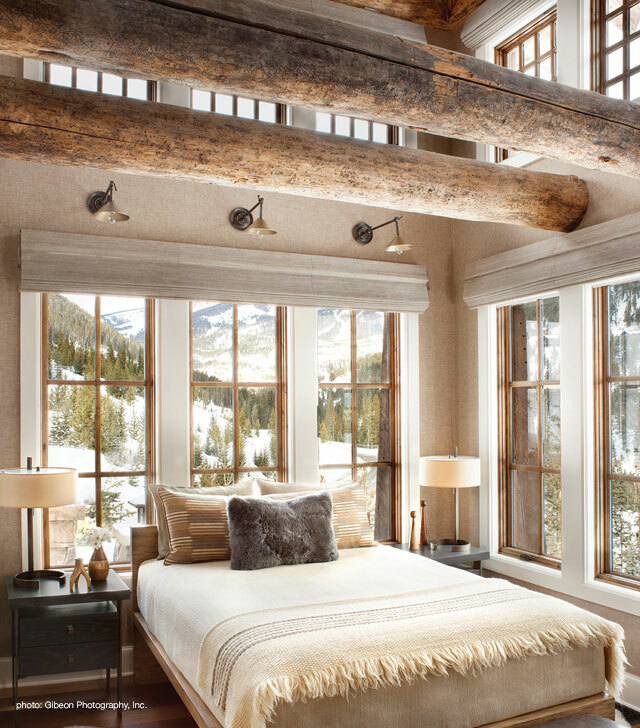 We love Ona Drapery Hardware, Houles and JAB for beautiful yet heavy duty drapery hardware lines. These aren’t you’re Grandma’s draperies! 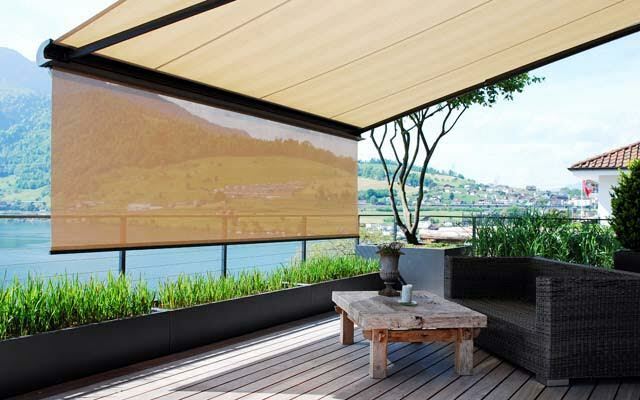 Stobag is an exterior shade and awning company out of Switzerland that is our go to for exterior treatments. 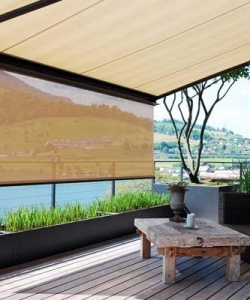 Both Phifer and Mermet are included in our Roller Shade program which includes Sunscreens, Blackout, and Privacy roller shades. Hunter Douglas is a popular brand that we sell because of their Duette, Silhouette, Pirouette, Luminette and Vignette products. 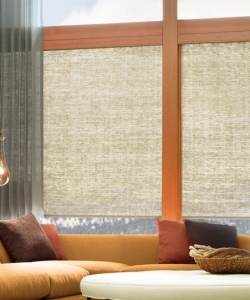 Top all of these luxury products off with motorized systems and your home will stun everyone with it’s progressive window treatments.